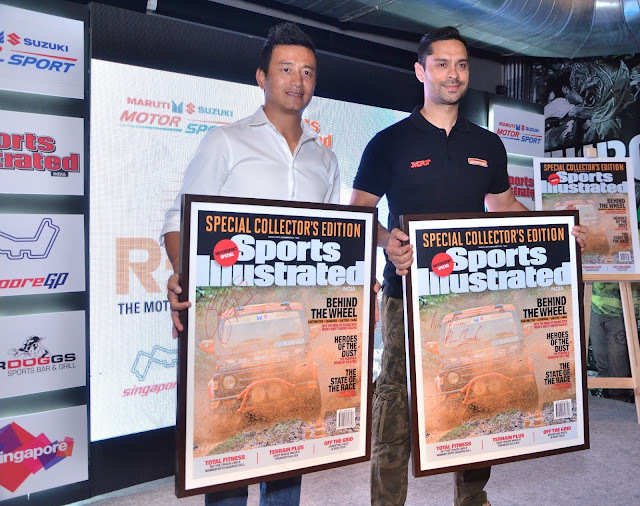 Sports Illustrated India magazine launched the Motorsports Special Issue, in association with Maruti Suzuki Motorsports on 10th August 2016, at Underdoggs Sports Bar & Grill. 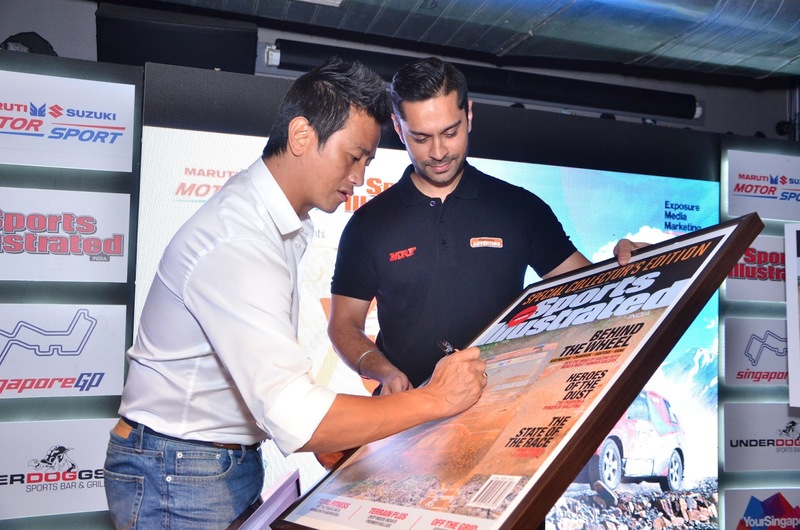 Ace Ex Footballer and motorsports enthusiast Mr. Bhaichung Bhutia along with Ace Indian Rally Driver -Mr. Gaurav Gill unveiled the magazine with Mr. Vinay Pant - AVP Marketing, Maruti Suzuki India Limited. Also were present a host of celebs. The extra special coffee table magazine celebrated the growing category of motorsports in India. Bhaichung Bhutia and Gaurav Gill spoke about their passion for the motorsports. The other sponsors included Singapore Grand Prix and Singapore Tourism Board. al annual Sports Illustrated India issue marks the dawn of the new horizon in the world of Indian motorsports. The Magazine will provide the much needed vital knowledge about the motorsports industry and seeks to be the one-stop information hub for the motor sports enthusiasts. The Motorsports Issue is a refreshing sports magazine poised to bring the Indian as well as international motorsports personalities on the Indian scene, focusing on key areas of motorsports. With exclusive interviews and features from both Indian and International Motorsports icons crossing the spectrum of sports, including Karun Chandok, Narain Kartikeyan, CS Santosh, Hari Singh, Gaurav Gill, Suresh Rana and others. The new publication will bring its readers closer to the lifestyle of India’s top racers/motorists. Spokesperson Mr. Vivek Pareek, Senior Publisher, Sports Illustrated India said "This special issue is a rendition of Sports Illustrated India's commitment to every sport in India. We hope this specific initiative will encourage more people to take up the sport and find the support they need to excel." Maruti Suzuki India Limited, Mr. Vinay Pant, AVP -Marketing spokesperson said” Maruti Suzuki's commitment to motorsports has spanned almost two decades, and we have constantly endeavoured to take the sports to the grassroots. With more initiative across the country that encourage budding racers, we look forward to a vibrant racing scenario in India. Spokesperson Mr. Shashank Shekhar Mishra, India Representative of Singapore Grand Prix said "Singapore Grand Prix is one of the world's most glamorous events, with exceptional racing and performances. We are proud to associate with Sports Illustrated to bring the passion and excellence of the track to readers and visitors to the most spectacular GP event in the world.